Babies do sweat! They are born with one set of sweat glands that adults have (the second, final set comes in puberty) located in the head, neck, hands and feet. Watch those areas and soothe hot babies with a wet washcloth. Make sure that baby is dressed lightly in loose, breathable fabrics (cotton, bamboo). They should be wearing the same number of layers that you are*. 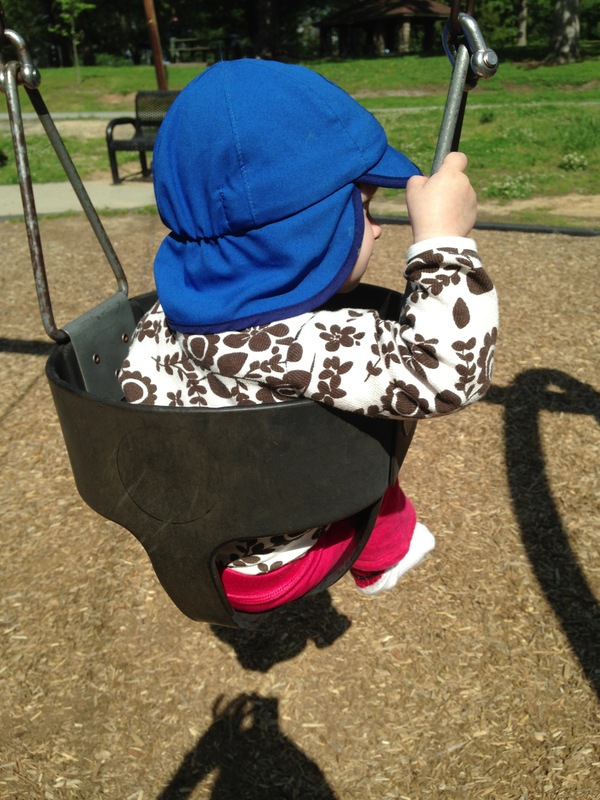 Hats are great, especially the ones with a flap that covers the sensitive skin of the neck and the ears. There are sunscreens and sunblocks. Sunscreens should be applied (assuming baby is at least 6 months and in otherwise healthy shape) at least 30 minutes ahead of time. Sunblocks reflect the sun’s rays and are “active” as soon as they go on. Both will need to be applied after hours in the sun or after being in the water. Needless to say, most babies will NOT be in the sun for long periods of time. Steer clear of hands and eyes. Consider strollering instead of wearing baby so you can keep a better idea of her temperature. If you’re hot, chances are she is hot too. Wearing is wonderful but when it’s really warm, think stroller instead to keep you both cooler. But never put a blanket, even a light swaddle, over the stroller. Blankets insulate, limit air flow and are a visible barrier to you keeping a close eye on a baby during a crucial time. Stay hydrated. Babies don’t need water (breastmilk is almost 89% water and formula is made with water) but you do if you get hot! And if baby is hot, she / he will nurse more. Water is fun for babies 6 months and up to play with, especially if it gets hot. Try and keep them to consuming no more than 2 ounces per day as water is filling and offers no nutritional value to baby. A few folks asked for advice on bug sprays, etc. Bug sprays are okay to be used at 2 months and up, only once per day. Never use bug repellent near the mouth, eyes and hands. Up to 30% DEET is okay but there are manufacturers like California Baby that offer natural repellents (often with citronella) that are made without DEET. Stay clear of obvious risks: sparklers, very loud places like Durham Bulls Athletic Park, fireworks, etc. Consider mama/baby swim classes as a way to have fun in the summer but don’t use floaties. Floaties give a false sense of safety and are best avoided. Watch baby’s face and pay attention to his behavior more than you might normally. If he seems unusually fussy and/or has an uncommonly red face, consider his temperature and either remove layers, go inside or get out a wet washcloth to cool him down. Cool refreshing fruits like strawberries, watermelon, grapes are great ways to eat healthy, stay hydrated and cool. Input/output (wet diapes!) are a good indicator of hydration. If you are wondering if baby might be dehydrated consider the amount of wet diapes she has had. A lower number of wet diapes than usual could indicate dehydration. Call your pediatrician if you’re worried and you can also nurse to get hydration back. 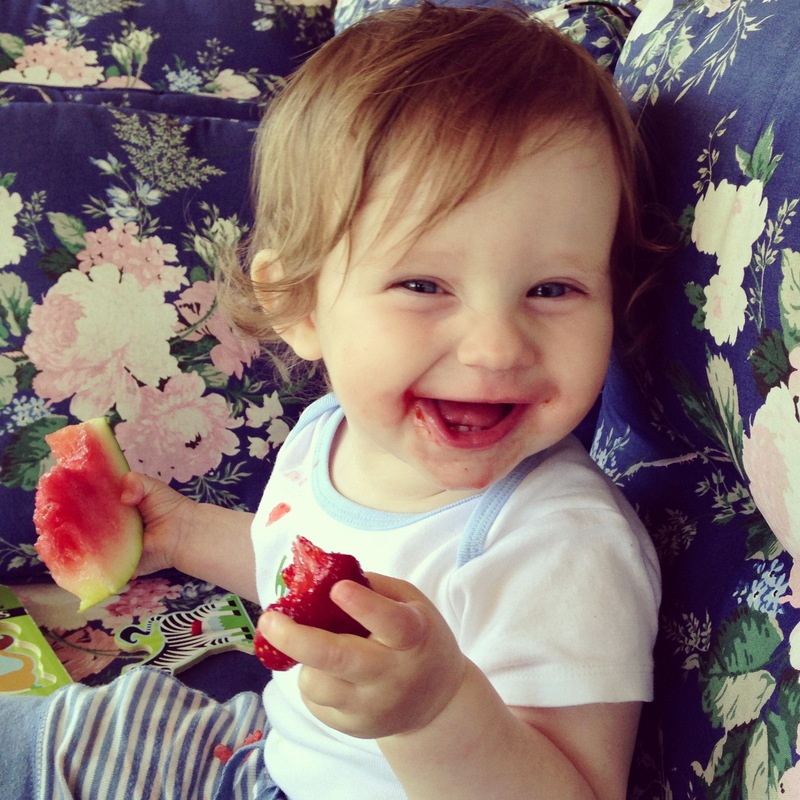 What other tips do you have for keeping baby cool, safe and happy in the summer? Leave a comment below. Disclosure: I am not a doctor or healthcare professional. I am a post-partum doula and this post has been researched by me via Isis Parenting, BabyCenter and KellyMom. *unless they are preemies and/or otherwise directed by your physician.